The war in Syria caused a grave humanitarian crisis. Chemical weapons and bombs were used without hesitation. The old towns were all settled. More than 500 people lost their lives. More than 5 million people have taken refuge in other countries. Currently, 13.5 million people need humanitarian aid. 2.8 million people live as disabled due to war. 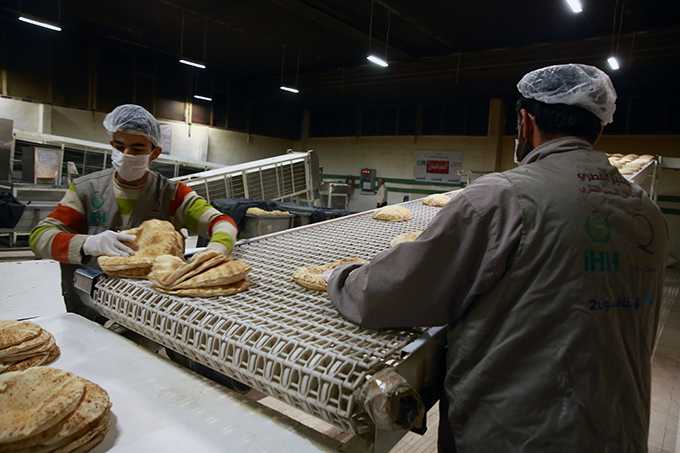 Until today, 135 million breads were produced for the Syrian refugees in Reyhanlı and Kilis ovens. In addition, 104,561 tons of flour was given to the furnaces in Syria. You may be able to support the need for flour for bakeries producing bread for refugees.